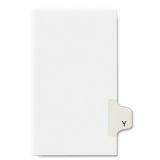 Avery Allstate-Style Legal Exhibit Side Tab Divider, Title: Y, Letter, White, 25/Pack - Dividers are ideal for index briefs, legal exhibits, mortgage documentation files and more. 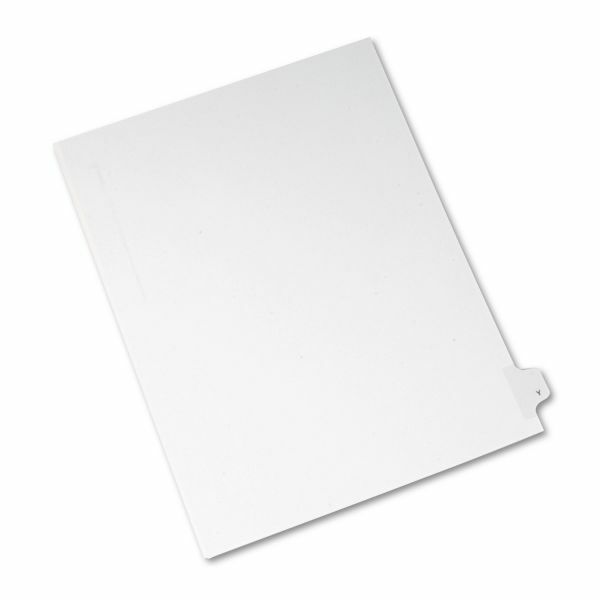 White paper stock features clear Rip Proof reinforced side tabs that are printed on both sides. Tabs are printed Allstate Style (Helvetica Regular type). Binding edge is unpunched so indexes can fit any binding system.